Living in New York City is no joke — you deal with tiny apartments, crazy high prices, crowds everywhere you go, every day of the week, dirt and grime and so many crazy people! But if you want to get an idea of why so many people love this city and love to raise their kids here—despite how hard it is—you should start by taking a look at this sparkling little girl. Avvie is the epitome of the New York City kid — full of spirit, adventurous and inquisitive, as if soaking up the energy and opportunity of the city around her. 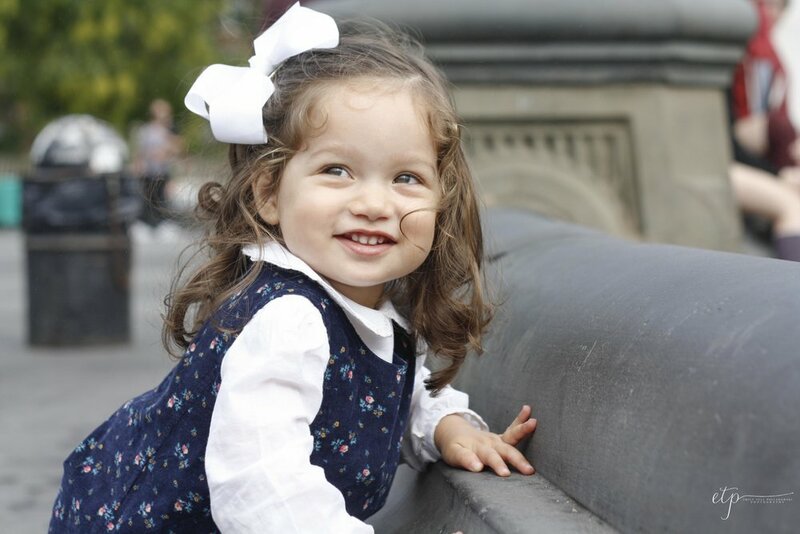 She danced around Washington Square Park on this recent photo shoot, as her mother and I hurried to keep up with her. She owns this city in a way that those of us who moved here in adulthood will never be able to fully claim—and credit to her, because she really makes it her playground! Thank you for allowing me to see this city through your eyes, Avvie — it was a true pleasure!